"My passion is to turn dreamers into entrepreneurs." Mr. LaRosa is the President of Marketdata Enterprises, Inc., a 39-year old privately owned independent market research publishing/consulting firm. During his career, Mr. LaRosa has personally authored more than 300 major industry/market studies, primarily in the service and healthcare sectors. In addition to publishing such studies, Marketdata has extensive experience creating and building “authority websites”. Mr. LaRosa has experience in a wide range of industries. His no-nonsense, common sense, get down to business approach is refreshing, and his insights are invaluable. If you want your company to gain new insights, uncover untapped markets, obtain a shot of creativity, or just think outside the box, then Mr. LaRosa can help. 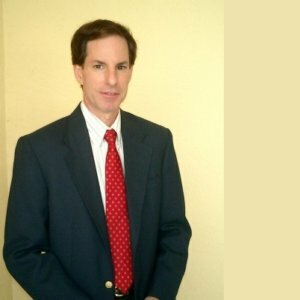 Mr. LaRosa has been an analyst of the U.S. weight loss market since 1989, researching and writing 14 editions of an in-depth market study entitled: The U.S. Weight Loss & Diet Control Market—plus 50+ in-depth weight loss reports about all diet market segments. He has been directly involved in the creation of dozens of service sectors and healthcare reports, listed on the home page of this website. He is also a leading analyst of the self-improvement/personal development market. Mr. LaRosa has performed numerous custom research and consulting assignments for weight loss companies, physicians, investors, entrepreneurs, and start-ups of all sizes. In summary, Mr. LaRosa is the leading American business consultant covering the entire weight loss market and its ten sub-segments, since 1989. Mr. LaRosa performs frequent custom studies and consulting assignments for Fortune 500 corporations, and writes articles for a variety of trade associations, newsletters, magazines and journals. He also hosts teleseminars and webinars, and is also a professional speaker. Mr. LaRosa has worked as a consultant and advisor to several industry trade groups, including the American Medical Spa Association, Equipment Leasing Association, and National Parking Association. Mr. LaRosa holds numerous conference calls with Wall Street and stock analysts, primarily covering the weight loss market. He also critiques and advises start-up companies with new product launches, business plans and marketing plans. Mr. LaRosa graduated from the State University of New York with a B.S. in Education in 1976, and earned his M.B.A. in Marketing from Hofstra University in New York in 1979. He has worked for 30 years in the fields of: Marketing Management and Marketing Research, and now lives in Tampa, Florida. Marketdata’s market research has been quoted by the… Wall Street Journal, N.Y. Times, Newsweek, USA Today, Forbes, Fortune, Business Week, Entrepreneur, Research Alert, Bariatrician, Nutrition Business Journal, LA Times, Boston Globe, Chicago Sun Times, dozens of national trade groups, and hundreds of local newspapers nationwide. Mr. LaRosa has appeared on CNN, Nightline, ABC, FOX-TV, and other stations and is frequently interviewed by the media. Fee: $5,000 - $7,500, based on length of speech. Entrepreneurship Can Set You Free - This is the greatest time in history to start a business in America. Never before have we had so many affordable services and technology tools available to the general public. People can now choose where, when and how to work, with no limits on income, rather than be tied to the corporate 9-5 grind. Take the chance! Industry Leadership - how to become a leader in your market or industry by being innovative, executing well, having credibility, building a good reputation and impeccable ethics, honesty, and truthworthiness. Keeping Up With Change - Adaptation and continuous learning is the key to keeping up with technology changes. Having an open mind mindset. Innovate or die is crucial for small business and for older workers. Keys To Success in The Weight Loss Market -- case studies of what has worked/not worked for companies, the 4 weight loss business models, why MDs and Nurses should add a medical weight loss program to their practice, dieter demographics/preferences, market trends, the meal replacements market, weight loss center franchising, the effect of and opportunities presented by Obamacare, weight loss entrepreneurs. Innovation for Small business Success -- guerrilla marketing, bootstrapping, the use of free and low-cost government and trade association data, college interns, barter advertising, diversification of products, cultivating the media, press releases, affordable legal help and merchant credit card accts., more. Why Stock Analyst Equity Research Reports Are Faulty --they miss 50% of the real story by focusing too much on the financials and not enough qualitative factors. Protecting Yourself In The Scam Economy -- How consumers can protect themselves against how the current flood of Ponzi schemes, poor franchises, identity theft, payday loans, multi-level marketers, email and charity scams, fraudulent tax return filing, rent-to-own stores, car title loans, for-profit online universities, online "master" courses, and more - why it's happening: the vacuum of too few "honest" jobs and preying on the elderly. John has nearly 40 years of experience in marketing, marketing management, and market research. He's seen, analyzed and tracked dozens of businesses and markets. He's helped managers at Fortune 500 companies, entrepreneurs, start-ups, physicians, investors and more. Why not let him add fresh new insights for YOUR business or new product or service idea? Coaching is done via phone and email, and Skype. Explore how coaching can help your business via my "Marketing Creativity Growth Booster" session. Checklist of actions to boost lead s and sales. I can do a maximum of 20 sessions per month, so don't get left out! Monthly retainer package: $1,500 per month. - Includes 8 hours of coaching and up to 3 Free market or industry Overviews (regular price $99 ea.). Retainer may be cancelled any time after first month. Stay as long as you like. No long-term commitment. To Order; Go to our store and purchase an hourly unit (COACH1) or a monthly plan (COACH2). Then call or email us with your name, phone and email, to set up your first call.